Today’s news headlines are not for the faint of heart—mass shootings, bombings, terror, politics, sexual abuse, hurricanes, earthquakes, and more. I’m completely horrified, and as much as I want to shelter my own offspring in an extreme effort to protect my little ones, I know that is not the solution either. One thing is for sure, however, we cannot live in fear… we must manage it and communicate through it. This is not the world I grew up in. As I observe the social nature of adults and children, I am saddened to see more disconnect and discord. Communication has run dry and is becoming replaced with electronic devices that cut off seemingly invaluable everyday discussion. Outdoor playtime is more commonly substituted with the an ever-growing trend in posting on social media platforms, like an addiction, for a superficial and temporary self-esteem boost in the number of “likes” and comments received. What happened to our culture? What happened to our sense of communication and camaraderie? With a rise in bullying, isolation, racism, and political strife, we need to incite change now and teach children how to connect, engage, and better handle the stressors that this generation now faces. 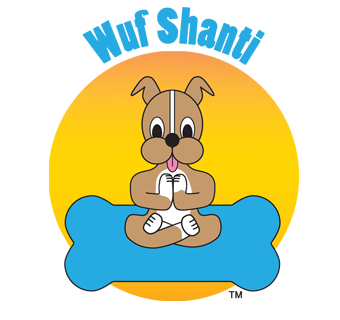 Wuf Shanti is an adorable dog yoga character who promotes health, wellness, and happiness in children, and encourages peace and positivity. This famed dog mascot actively tours schools and children hospitals to promote and instill his message. 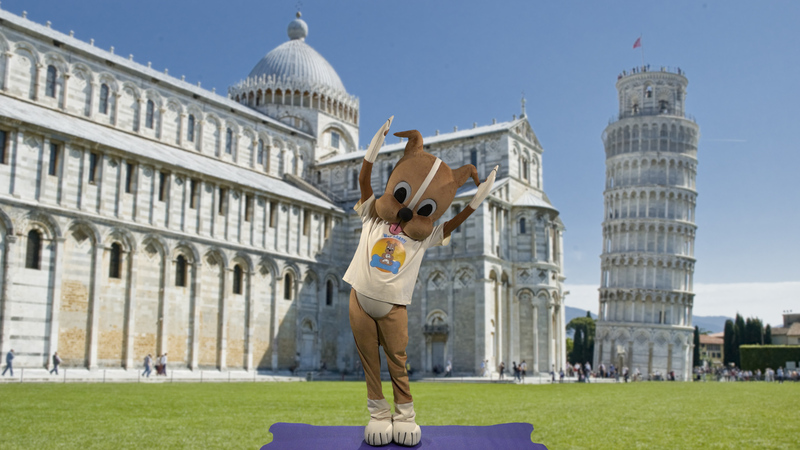 Wuf Shanti has become a national icon through Adam’s series of books and videos that teach the fundamental principles of living mindfully, positivity, kindness, and gratitude, all through fun, games, and music. It all started with Adam’s book and his desire to teach his great-grandpa’s mantras to other children. He then wanted to visit kids in hospitals to help them heal. “His compassion inspired me to want to help get this message out to kids everywhere,” explained Erika Lee, President of Wuf Shanti. “Yoga is often considered in the West to be simply a physical activity to increase flexibility; and although that is a beautiful and necessary element of the practice, it runs so much deeper than that. The true practice of Yoga is bringing it off of the mat and into the world,” said Lee. Reaching out with a positive message to kids, in person and online, is direct and impactful. Best of all, Wuf Shanti videos are truly educational and entertaining. 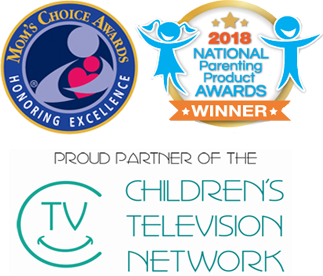 They are on Florida PBS stations during the Kidsvision hours, on the Children’s TV Network in children hospitals across the country, and on the Wuf Shanti YouTube Channel on YouTube Kids. There’s also a free Mindful app that teaches positive thinking through games. Can the mind control the body? Science thinks it can, and many people believe in the power of positive thinking to help the healing process. Even adults could probably learn a thing or two from this master dog yogi, which is why Wuf Shanti will soon offer more character friends to join him in his mission to make the world a better place. Adam Levine and Maroon 5 posted about Adam and Wuf Shanti on their social media pages. “That was the coolest! My mom showed me, and I was like Whoa!” said Adam. Teaching kids yoga, meditation, and mindfulness may not end all violence and discord in the world, but it is certainly a step in the right direction. With so much negativity in the news today, we could all certainly appreciate an added dose of gratitude, peace, and love. Explore Wuf Shanti, his mission, hospital tours, and recent press from the Miami Herald and Sun-Sentinel on their official website. Tap into the Wuf Shanti YouTube Channel (free subscription) for a complete collection of episodes. Download the New Mindful Wuf Shanti Yoga Fun Machine Mobile App (free) for videos, music, games, descriptions of poses, and more for your iPhone/iPad or Android/Google +. While we can’t helicopter parent our kids into a safer world, we can certainly teach this peaceful practice that offers a greater impact than overprotecting our kids and sheltering their vitality. Let’s start a movement for change, connectivity, wellness, and positivity with #WufShanti.